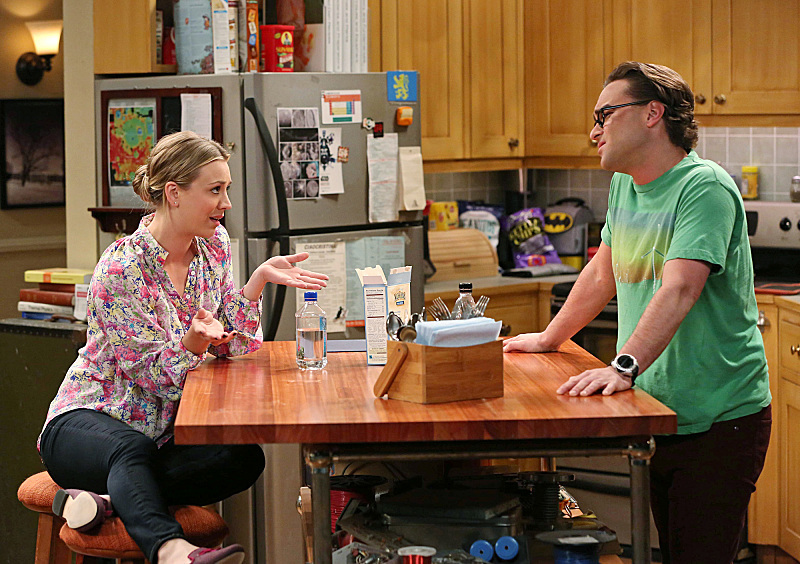 Tonight on The Big Bang Theory: "The Anything Can Happen Recurrence"
“The Anything Can Happen Recurrence” is the title of the new episode of The Big Bang Theory that is scheduled to air at 8PM (ET) tonight on CBS. Here is how they describe it; some preview images follow below. "The Anything Can Happen Recurrence" -- When Sheldon tries to be spontaneous, it leads to unexpected friction between Penny, Amy and Bernadette, on THE BIG BANG THEORY, Thursday, April 24 (8:00-8:31 PM, ET/PT) on the CBS Television Network. Pictured: Kaley Cuoco-Sweeting and Johnny Galecki Photo: Michael Yarish/Warner Bros. Entertainment Inc. ÃÂ© 2014 WBEI. All rights reserved.